Tae-mu returns to Korea alone, claiming that his cousin and future heir of the company, Tae-yong, had gone missing. Meanwhile, Kang's personal assistant Se-na runs into her long-lost step-sister Bak-ha for the first time in 20 years at her step-father's funeral. Two years after Tae-yong went missing in New York, four men dressed in Chosun era garments, fall onto Bak-ha's delivery truck. 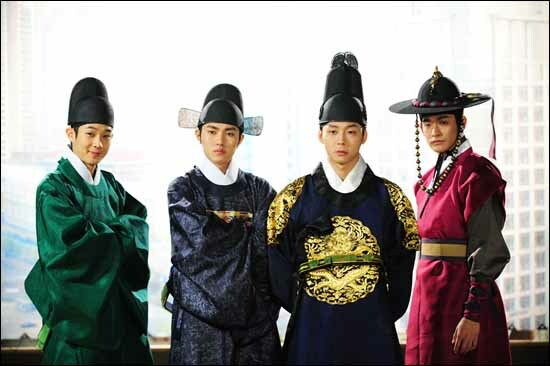 Homeless and having nowhere to go, the four men decide to stick with Bak-ha One of them claims that he is the Crown Prince of Chosun. 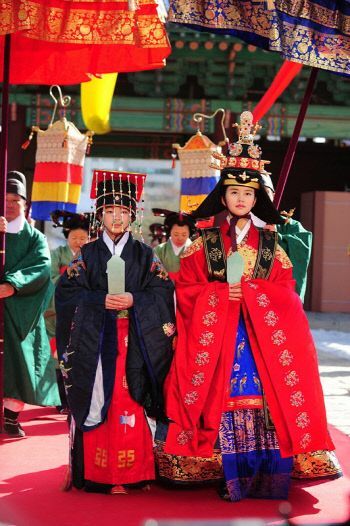 One day, Crown Prince Yi Gak sees Bak-ha's step-sister Se-na who is the spitting image of his late Crown Princess. He is convinced the two are, in fact, the same person. Meanwhile, Kang thinks that Yi Gak, who looks exactly like her grandson who went missing in New York, has returned. The Crown Prince realizes that he has time traveled 300 years to 2012. Seoul, to search for the truth behind the mysterious death of his beloved wife, the Crown Princess. 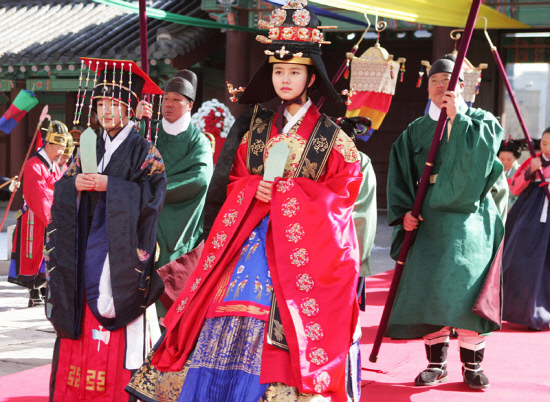 In order to approach Se-na (the Crown Princess), who is also Kang's personal assistant, Yi Gak pretends that he is Tae-yong. In the meantime, Tae-mu, who had believed that his cousin had died in New York, feels threat-ened when he hears the news that Tae- yong has started working at the company. On the other hand, Bak-ha is shocked and somewhat saddened by the news that her slightly odd but vulnerable new friend who calls himself the Crown Prince is, in fact, the grandson of CEO. But, before long, she gets into another tiff with Tae-yong who continues to linger around Bak-ha in order to get closer to Se-na. [Video] Korean movie of the week "The Fatal Encounter"
Park Yoo-chun's fans in China signal group actions: "We will protect Park Yoo-chun"
Is "Please Come Back, Mister" the drama version of "200 Pounds Beauty"? Kim So-hyun to star in "The Girl Who Sees Smells"
Kim So-hyun goes to high school! Korean Super Star Actor Hyun Bin's Much Awaited Comeback Period Film "The Fatal Encounter" Hits N. American Theaters May 23rd! Hyun Bin's Much Awaited Comeback Movie "The Fatal Encounter" Hits N. American Theaters May 23rd! "Gag Concert" Kim Dae-hee joins SBS "Ugly Alert"
Jung Yoo-mi to star in "Wonderful Mama"
[HanCinema's Drama Review] "The Rooftop Prince"
Korean drama of the week "The Rooftop Prince"
How long did it take for young couples to have first kiss? 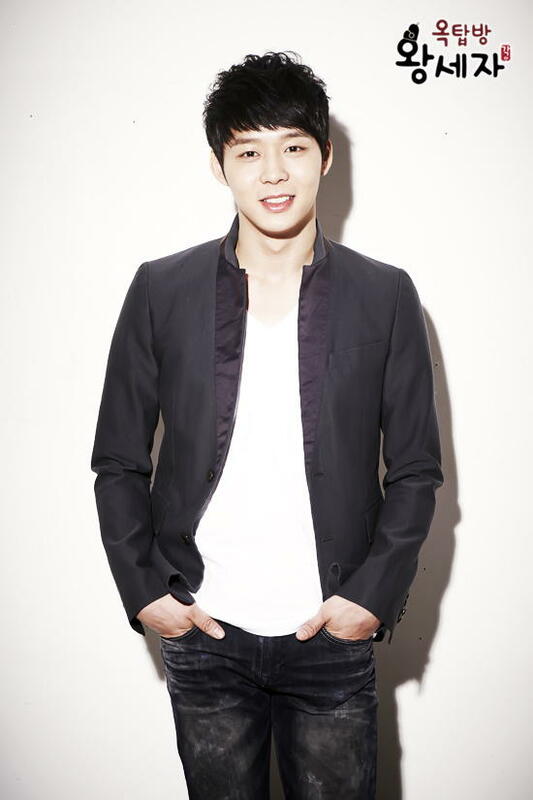 Park Yoo-chun's "The Rooftop Prince" seen by "77 million"
Park Yoo-chun, "It's been 4 years... Is there anyone nice enough?" [Interview] Han Ji-min and Park Yoo-chun's ending of "The Rooftop Prince"
JYJ Park Yoo-chun , "'The Rooftop Prince' was made with pain. Happiness and strength"
"The Equator Man" remains in top place? "The Rooftop Prince" catches up with "The Equator Man"? SBS drama director "Competition between dramas is not over"
Park Yoo-hwan to Park Yoo-chun "I Miss You"
[Spoiler] Park Yoo-chun and Han Ji-min already in love mode? [Spoiler] "The Rooftop Prince" first reaction "1 hour was like 10 minutes"
[Photo N] Park Yoo-chun and Park Yoo-hwan "In sadness"
So Ji-sub to star in SBS's "Ghost - Drama"
Added 7min highlights and new images for the upcoming Korean drama "The Rooftop Prince"
So Ji-sub to star in drama "Ghost - Drama"? Added poster and stills for the upcoming Korean drama "The Rooftop Prince"
Added teaser and new images for the upcoming Korean drama "The Rooftop Prince"
Updated cast and images for the upcoming Korean drama "The Rooftop Prince"
Added first still for the upcoming Korean drama "The Rooftop Prince"
Jung Suk-won in "The Rooftop Prince"
Upcoming Korean drama "The Rooftop Prince"
View all 304 pictures for "The Rooftop Prince"